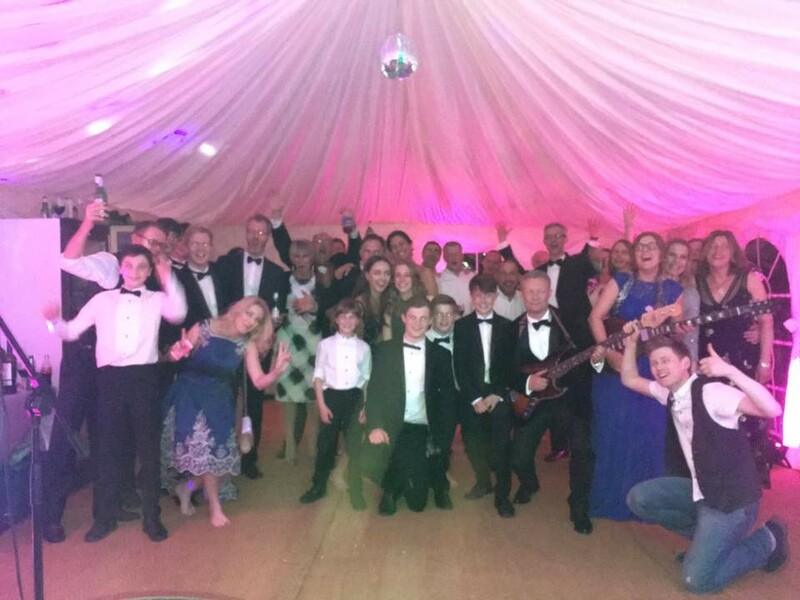 Without a doubt, On Demand will bring a fun, fresh vibe to your event ensuring they get everyone up on the dancefloor and get the crowd going. These guys perform so well together and will bring out the classic anthems from back in the day and mix it with modern pop and rock hits. Take a look at their Calvin Harris – Promises videos, in my opinion its better than the original! 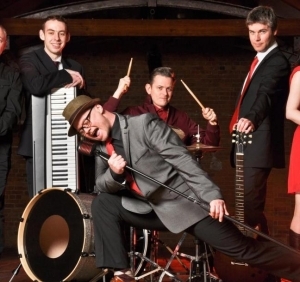 On Demand are a fun, fresh & energetic wedding band that will get the party started & fill the dance floor from the get go! 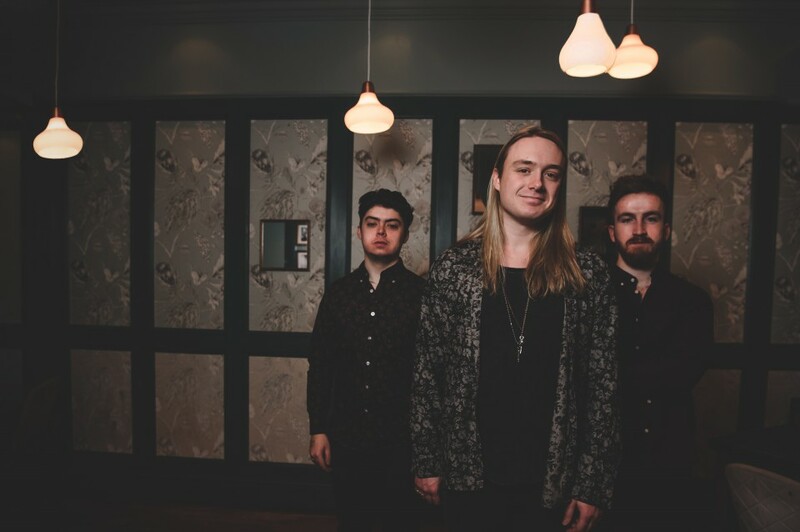 With a repertoire list that mixes classic songs of yesterday & modern day pop & rock anthems - this band really have something for everyone and will ensure ALL your guests have a night to remember!! Although based in Surrey, On Demand are available to book throughout the whole South East. Number of Reviews and Counting... 50! On Demand are a fun, fresh & energetic rock and pop covers band that will get the party started & fill the dance floor from the get go! 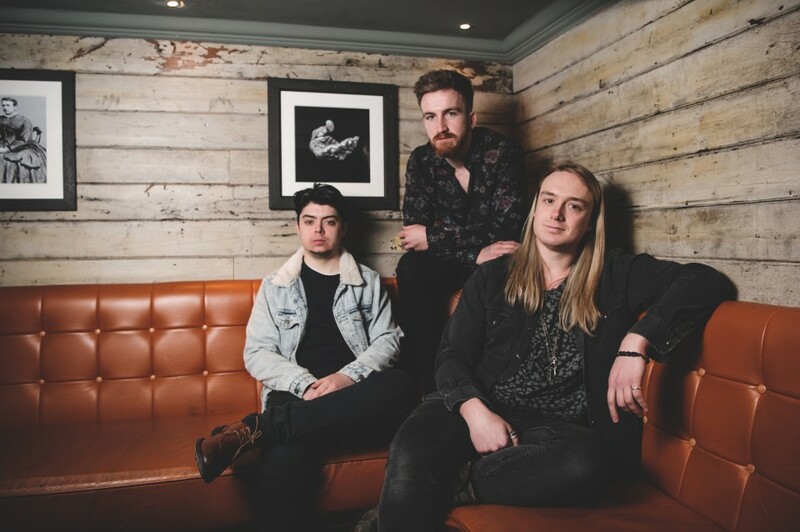 With a repertoire list that mixes classic songs of yesterday & modern day pop & rock anthems - this band really have something for everyone and will ensure ALL your guests have a night to remember!! Extensive repertoire list with something for everyone! 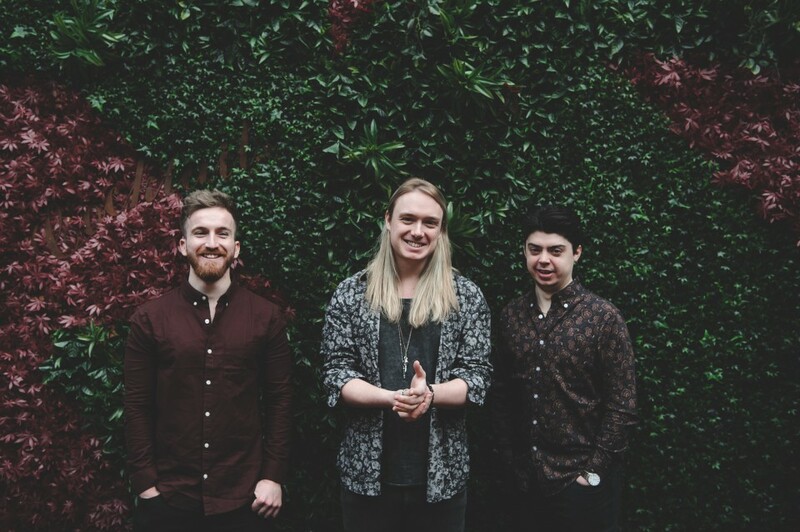 On Demand are an exciting 3-piece live band based in Surrey. With modern day anthems plus a selection of unforgettable classics, their vast repertoire list & lively performance makes them a perfect choice for any occasion. 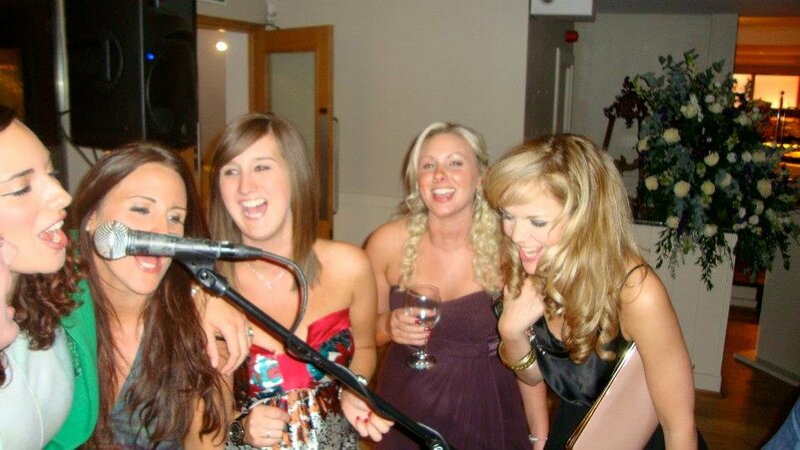 Whatever your event, ensure you book this band as they are ALWAYS ready to start the party On Demand! In addition, On Demand provide a DJ option when they are not performing. On Demand were absolutely exceptional! Very talented & highly recommended. Thank you for a fantastic evening! 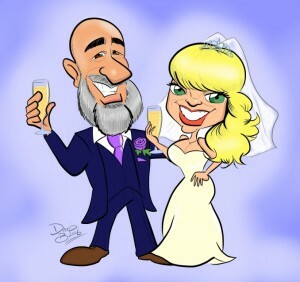 We had the privilege of having 'On Demand' play at our wedding in Milton Keynes. I'm not sure what more I can say other than they were amazing. We had over 130 people there with us in the evening including a variety of generations and ages yet all were glued to the dance floor with the band. If you are reading this review and are in two minds to go for a live band, as we were, I would highly recommend paying the extra money and do it, and pick 'On Demand' you will not regret it. We had such a fantastic day as did everyone else, each person we have spoken to since the wedding have said how brilliant the guys were. 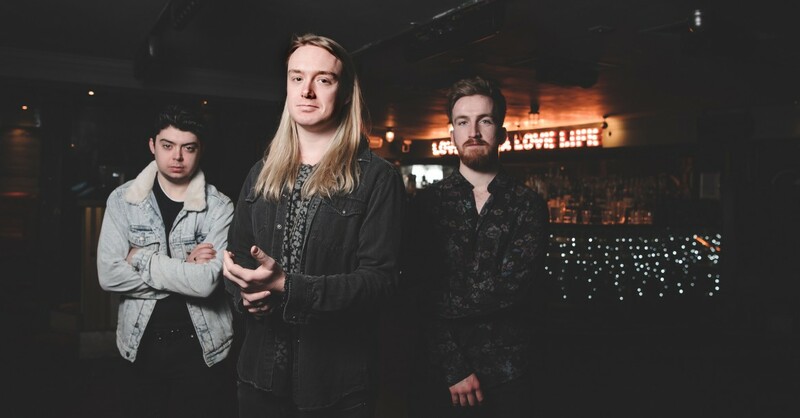 Booking through the website was seamless and we had regular contact with the band a number of weeks before, to run through timings and song requests. Elliot and the team nailed our first dance doing a brilliant cover of Ed Sheeran's song 'Thinking Out Loud' with a twist which worked perfectly, thank you again I can't recommend these guys more highly. The band were excellent. Everyone was up dancing! On Demand were a fantastic band. On time and we were very pleased on all fronts. A great band and all our wedding guests have said how fab they were! A big thank you to On Demand. Sharon and Andy. On Demand were excellent - from first contact to final encore. Professional, entertaining and very easy to work with. Wish we could do it all again as they were so good! Where do We start!? 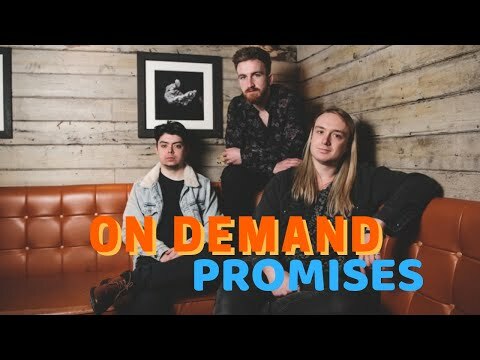 On Demand are a world class three piece band! Modern pros with some old school tunes in their locker. They really did keep the party flowing and they left us and our whole wedding breakfast incredibly impressed. How we don’t hear these three on the radio day in, day out I don’t know. You simply wouldn’t be disappointed booking On Demand and I can’t recommend them highly enough! Thanks lads! Absolutely belting. Can’t thank the band enough. It was the perfect mix. We all lost our voices from singing. Thank you so much. Communication with the management company and Elliot from the band from the start was brilliant and reassuringly consistent. On the night, the band arrived punctually at our post wedding party and were friendly and enthusiastic. The band were absolutely brilliant, the choice of songs got (different aged) guests up and dancing with two lively, well paced covers sets and a good DJ set in between. It was a real shame to have to stop at 11.15pm and we would certainly recommend In Demand as a good party band. Elliot even checked in afterwards to make sure that everyone had had the best time. Thanks guys! The band were ridiculously good. Absolutely nailed the first song (first dance ‘you and me’ by lifehouse). Everyone had a riot of a time. Lots of aerials for the bride and groom. Finished off the evening with a bang. Class act. Good lads. THANK YOU! The guys were fantastic. Our dance floor was filled from start to finish on their 2 sets. Our guests have been raving about how great they were. Very engaging with the guests and great fun. The booking and follow up process was slick and Elliot was very professional in sorting out the finite details before the event. I would have no hesitation in recommending them and would book them again in the future. Thank you so much for helping to make the day an amazing one. Everyone loved them! They had every single person up on their feet - Can’t thank them enough! Fantastic band, everybody commented on how good they were. Really can not praise them enough. Easy professional booking process. On Demand are young, very professional and fresh! They played two fantastic sets at our sons 21st birthday party and by the end of the evening had everyone dancing aged from 15 to 83! They were very communicative and attentive - wanting to ensure our evening was a real success! I would certainly recommend them and would ask them to play at a party again! On Demand were fantastic. Highly professional and contactable prior to our event and got everybody up and dancing for the whole night - including grandparents. They set up and got ready in a very small space without disrupting guests and were full of energy and engaging all night. Thank you and I hope to see you all again in the future. On Demand were just brilliant. Great energy and sound. 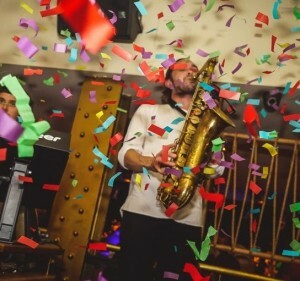 These guys made our wedding reception what we hoped it would be - a party to end all parties with a great mix of up-tempo songs and singalong classics. They also kept the party going in between sets and afterwards and let me pick and choose my favourite party tunes - or the few remaining ones they hadn't already played! If you want a great party band, look no further and just book these guys. Wow, what can I say. The lads were incredible, everything we wanted and then some. They made our wedding so special. Had the dance floor hopping from start to finish, really nice guys, great mix of songs and worked with some of my guests beforehand to put on a special surprise for us. I will recommend them to anyone looking celebrate in style but don't expect to have any voice left the next day as the music was so good I think I sang along to every word! Once again lads, thank you for making our wedding day the best party I've ever been to. Fantastic band. Really made the night top. 3 young guys with loads of talent. Amazing band, full of energy. They had all the guests up and dancing with a brilliant set. We, as well as all our guests, will be recommending On Demand. Thank you! These guys were just incredible. The dance floor was packed all night and the energy was just unbelievable! They made our wedding so much fun. We had so many comments on how good they were, their choice of music was excellent and they were also just so easy to deal with leading up to it. We are just so happy we picked them! Thank you so much On Demand! Brilliant band, friendly energetic bunch who put so much into their sets. Had all of the guests dancing, and the dance floor was packed all the time. They were very versatile, and played a really decent set list. Would 100% recommend On Demand - absolutely brilliant! Absolutely brilliant. Can't recommend enough. We booked On Demand for our wedding and they exceeded expectations. Great band musically and very interactive and friendly with all guests. On point with all DJ duties but also created a great atmosphere on all live sets and had everyone up dancing. So many guests commented on how good the band were. We had these guys for our wedding and they were brilliant! They were so good, everyone commented on how well they played and sounded, we would definitely use these guys again! Everyone commented (including us!) on how great the band were for our wedding. Great singer and really entertaining. Would highly recommend to all for any party occasion. Absolutely amazing, really got the crowd going and kept everyone dancing all night. Great friendly guys who were so helpful and accommodating, and would highly recommend them. Also take a great photo! Would love to have them at another event sometime. Hi Matt, On Demand were absolutely BRILLIANT. Their variation of music was stunning. I've had so much feedback from the majority of the 150 guests, all commenting how great they were, i'm sure that they will be getting a call to be booked again. I did call Elliot on the Sunday to thank them, but please pass on my sincere gratitude again. Many thanks, Gary. An incredible night put on by an outstanding band! 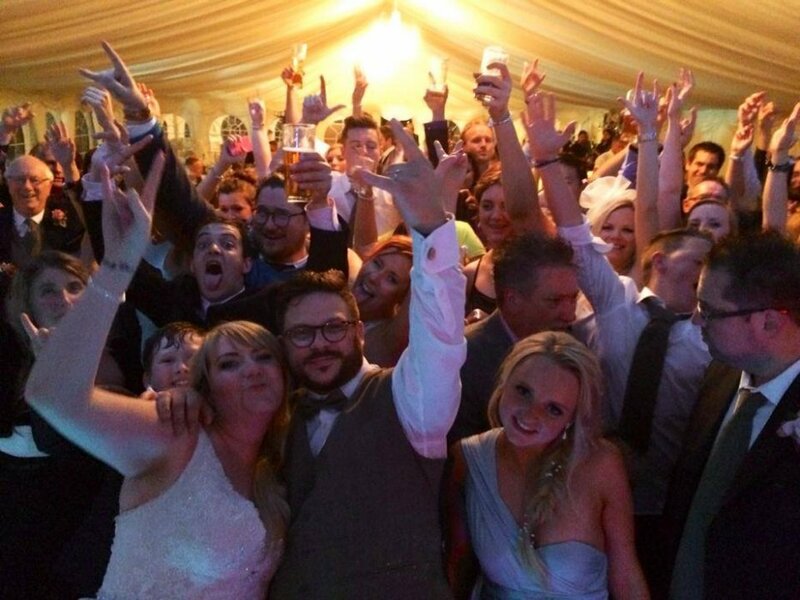 So many of our guests have been in touch since our wedding to tell us how amazing they thought the band were. They interacted so well with the guests and had the dance floor packed throughout the evening. In the break between sets they DJ'd - and let us choose the entire set list for these periods in advance, which was greatly appreciated and made sure that we knew our very favourite songs would be played. During the band's sets they were absolutely on fire; really talented musicians who performed two great sets with the perfect choice of songs to keep people dancing. They even let me play drums for one of their songs after my wife told them I played! Overall, we were so happy that we booked On Demand and wouldn't have changed a thing from start to finish. I would thoroughly recommend them and know that they will not disappoint. Thank you, lads! We hired On Demand for our wedding reception. They were absolutely amazing, and well loved by all generations. Really easy to organise and excellent at getting back to us. Incredibly stress free. The band were amazing & such lovely guys too. Nothing was too much trouble & they made our event truly special. The quality of singing and playing was outstanding and their set pieces were just perfect. All my guests commented on how good they were and I'm sure there will be future bookings coming up! 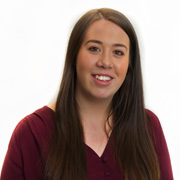 Dealing with Jodie at warble entertainment was excellent too - very professional & everything went like clockwork. Couldn't ask for better. Amazing - 5 stars all round. On Demand are an amazing band for a wedding. In terms of organising the event, they are very reliable at getting in touch with you and easy to get hold of. They are happy to plan their set around your wedding arrangements and they make the whole process so easy. Amazing set list and really great at getting everyone onto the dance floor. Their music is incredible. Thank you so much On Demand for making our evening one to remember! Excellent... many thanks. On Demand, great music keeping everyone on the dance floor. They were extremely professional and I would highly recommend them. They made our wedding a wonderful occasion. Great band, everyone up and dancing for pretty much the whole evening! Would highly recommend this band. Great service, easy booking process, fantastic band! The set list was perfect with a mix of old and new songs. The band were entertaining, polite and very talented. I would certainly book On Demand again. I loved how personable they ALL were and how they even went above and beyond to take pictures of us all! Fantastic night. Many thanks. Anika. On demand made our joint 60th birthday party a very special event. All of our friends remarked how great they were and also enjoyed the playlist which was a perfect choice for the wide range of ages. Highly recommended and would use again. The boys were excellent! Incredibly professional in the set up (we arranged for them to do it before guest arrived) and were fantastic during their performances. They really got the crowd going and everyone was dancing throughout the sets. My wife, guests and I all had a wonderful time and I would absolutely recommend them for a wedding or party. Thanks for a great show On Demand. 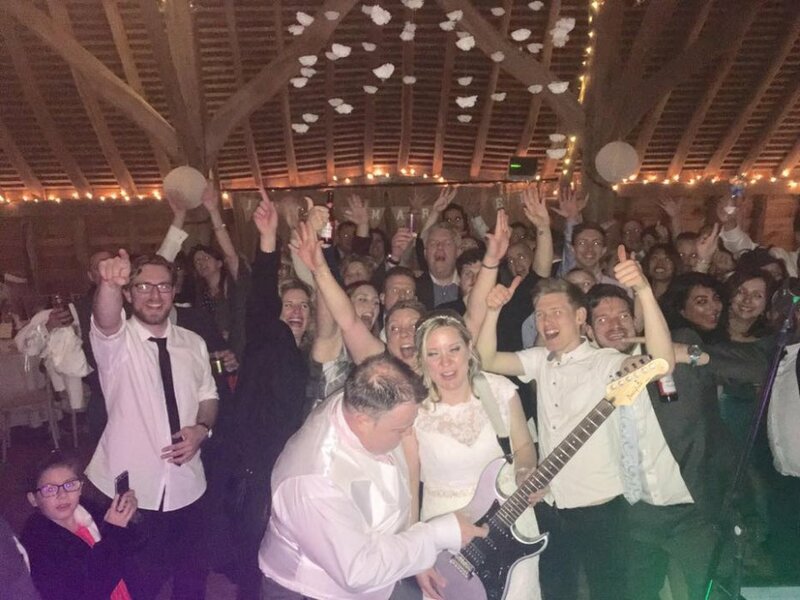 On Demand played our wedding in Wiltshire last Saturday, what a band! The boys were super helpful and organised on the lead up, so there was no pressure what so ever! The music was incredible it really suited the mood of the audience. All ages were up dancing and singing along! Their set list was incredible. So many guests said they were the best wedding band they had ever heard! I would highly recommend them to any bride and groom wanting an all round wedding band to please everyone! Thank you so very much guys!! ABSOLUTELY EXCELLENT BAND!! Really friendly guys, very professional, punctual, didn't intrude at all on our party until they started their set and then they were superb. Great playlist which got everyone dancing straight away and kept the dance floor full. Interacted well with us during the set - just enough chat to keep the link between band and audience strong. 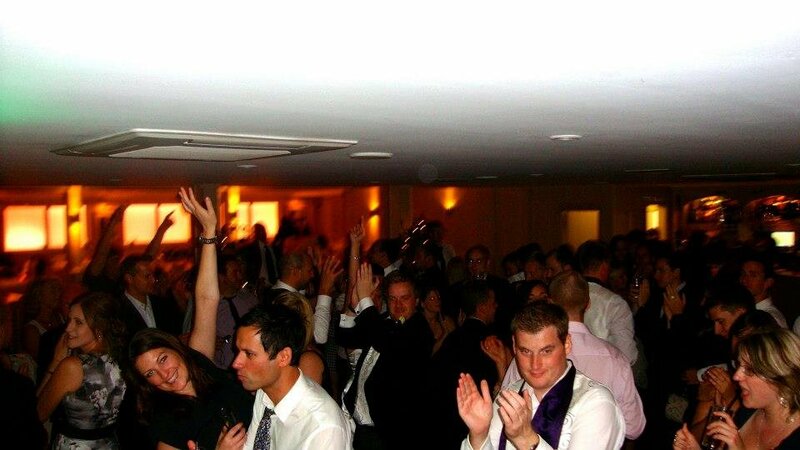 We would highly recommend On Demand to anyone looking for a covers band to make their party rock! Following our wedding in Sydney Australia, we booked On Demand for our UK wedding party celebration. We hadn't heard the band except for the samples on the website which is always a daunting prospect when you have 70 guests to entertain. We couldn't be happier. What a great band! The boys had the party pumping from start to finish with a great range of songs to suit all our guests from 60s and 70s classics through to 90s and now. We were given the option to select songs from their extensive song list but opted for them to put together an appropriate list and they certainly delivered. The band were incredibly tight and the lead vocal was exceptional which was a big factor for me in selecting the band in the first place. They are clearly very capable musicians taking requests and performing songs they'd never done before - Proud Mary by Creedence Clearwater Revival springs to mind! It was a shame the party had to end at all but we went out with an encore and a bang! We had a number of guests comment about how good the band were both during and after the event. I couldn't recommend On Demand enough for any party occasion. These boys will deliver. I'd have no hesitation booking them again next time we throw a party in the UK. On Demand were professional and very talented. They kept the party going all night with their fantastic set of popular music that catered for everyone. I couldn't fault them! 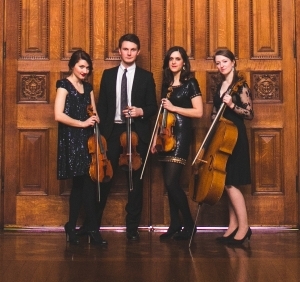 They sounded amazing and I'm SOOOOOO glad that we chose On Demand to play at our wedding. They made it a very special evening. These guys are great! Friendly, professional and talented performers. We thoroughly enjoyed their sets and so did our guests, we had quite a small gathering but the dance floor was never empty. The music played between their sets kept the party going so they offer a complete service. We thoroughly recommend On Demand, thanks for making our night rock! Hi Matt, We booked On Demand for our Christmas party and they were awesome. They had everyone in the room dancing instantly and kept the party going all night, playing a range of songs that suited everyone. The feedback is it was our "best party ever". Thank you!! Thanks for a great night guys!! I don't think I've seen so many people up dancing at any one time!! To anybody thinking of booking On Demand - DO IT!! We'll see you again soon I'm sure. Earlier Set-Up - to avoid disturbing the ambience if everything is taking place in the same room. Late Finish - whilst most venues are licensed until midnight, On Demand realise that some are fine to continue the celebrations until 1am or 2am. 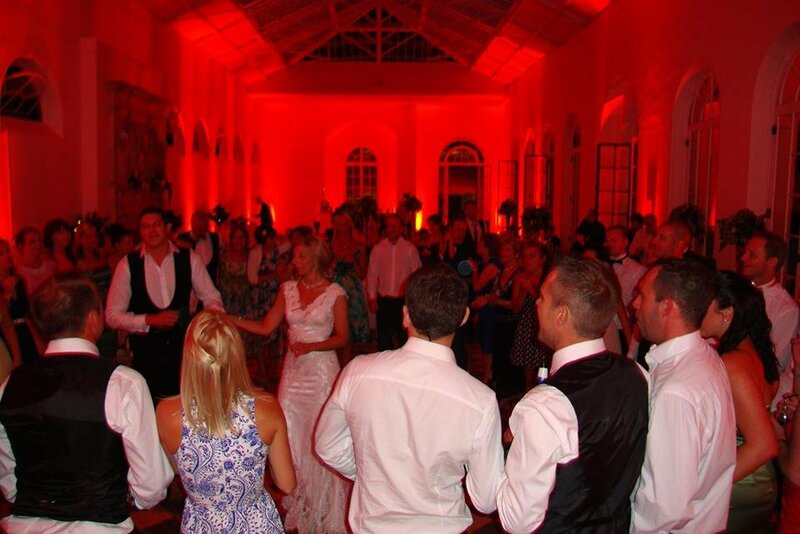 First Dance - wherever possible, On Demand will learn your first dance song providing enough prior notice is given and the song is within the style of the band. If this is not possible the band will be happy to play your first dance via their PA / DJ equipment. Free DJ Option - To keep the party atmosphere going On Demand will provide music in between sets using DJ software. Please Note: As standard, and at no extra fee, On Demand will provide party music before, in between and after their performances. As standard On Demand perform 2 x 60 or 3 x 40 minute live sets. Because On Demand want you to have the whole nights entertainment sorted when you hire them, the band offers a FREE DJ option that runs when the band are not performing. 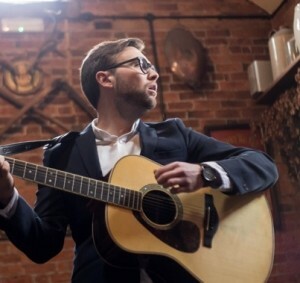 Customers who have enquired for On Demand have also been interested in the following rock and pop wedding bands for hire who are also available in Surrey. For more information or further options, please call 0845 643 9384.